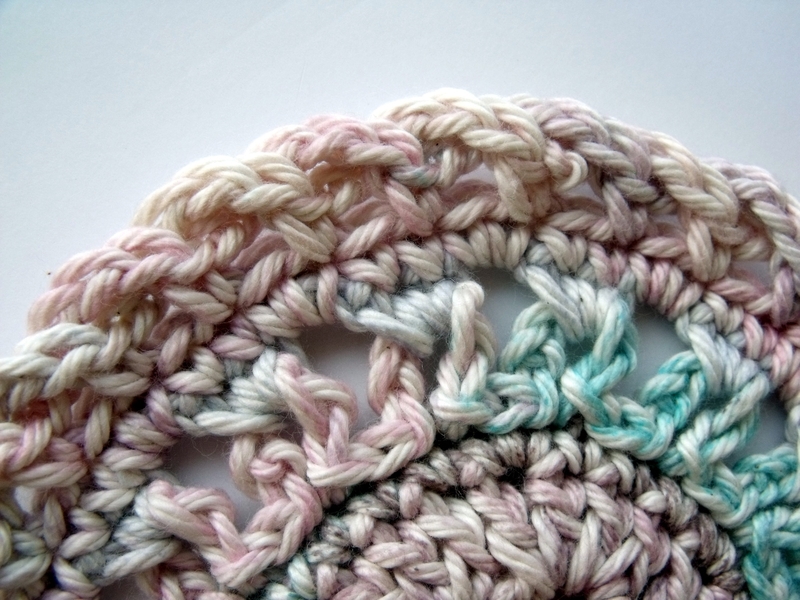 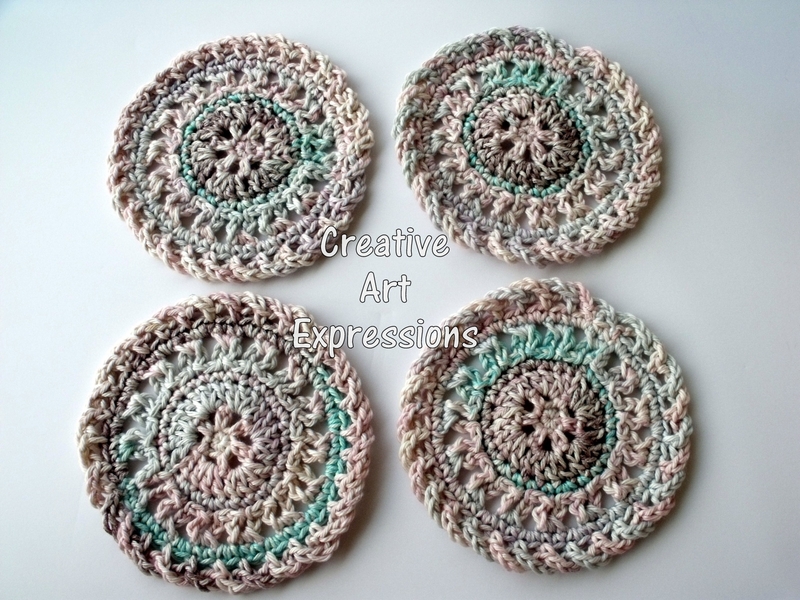 Set of 4 beautiful, Pastel Pink, Purple & Aqua crocheted coasters are ready to ship! 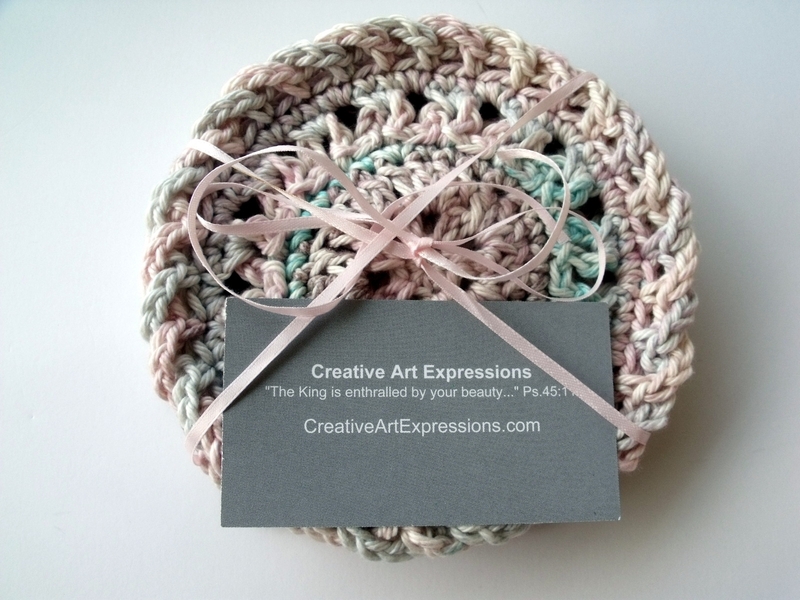 They are 100% cotton & large for a pretty decoration under your fine china or they work for large cups. 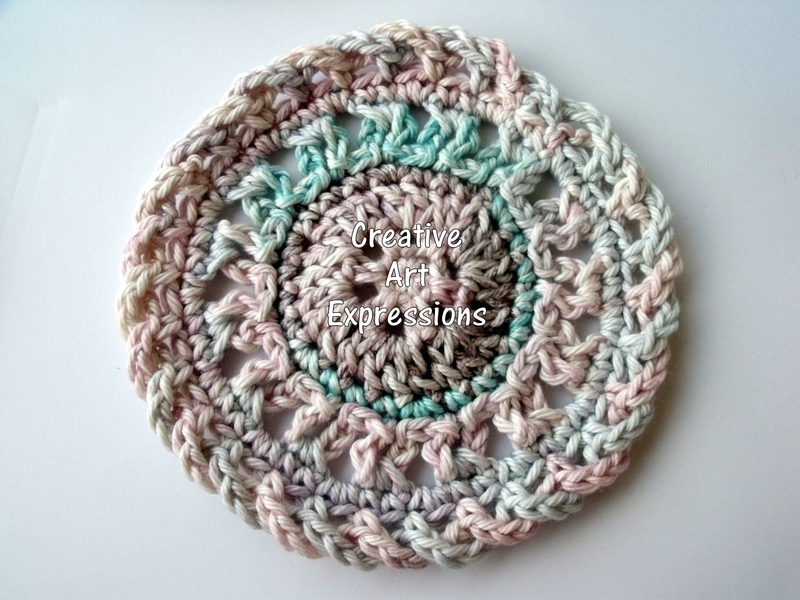 They are about 5 1/2" in diameter. 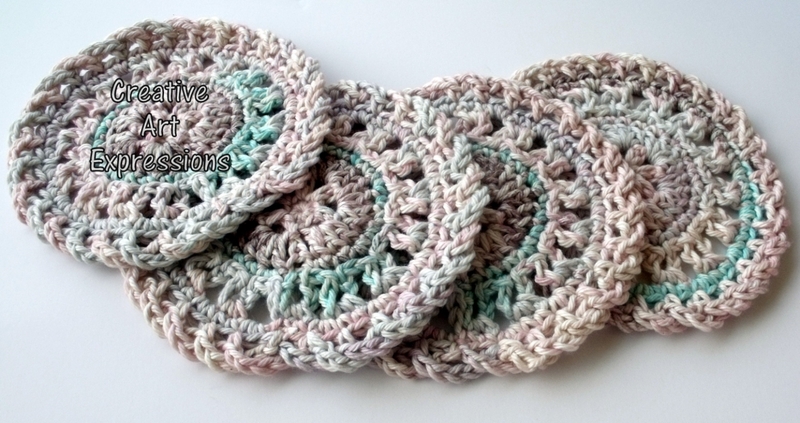 They are machine washable and dryable. 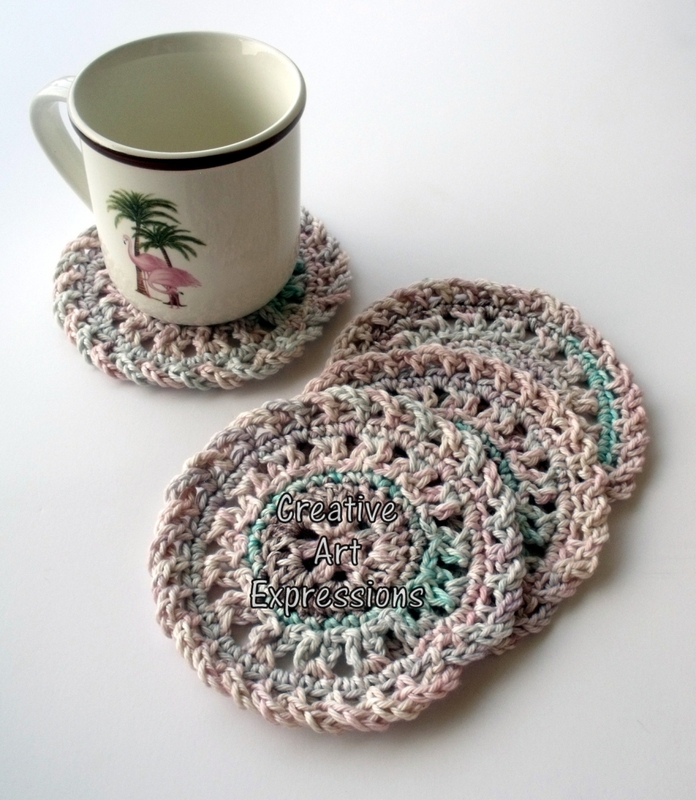 These gorgeous coasters are perfect for your Easter or springtime table.